This is another one of my favorite peanut based chats that we make for parties. We have always enjoyed this at our club and when we finally made it at home, we were surprised at how easily it can be done. This morning when I decided that I should make the best of my Saturday by making this, I told Konda that I wanted her help in making yet another dish. She didn’t show much interest in the beginning, but when she saw that I was willing to let her to most work, she was excited. Then she went ahead with clicking pictures. Most of the pictures for today’s post are clicked by her. I see that she gets excited when I ask her to either help in the making of the dish or at least clicking pictures. Boys agreed to eat it only because their sis was making it. But after one bite, they were asking for more. Infact what we make was not enough. So I promised to make it for them again. 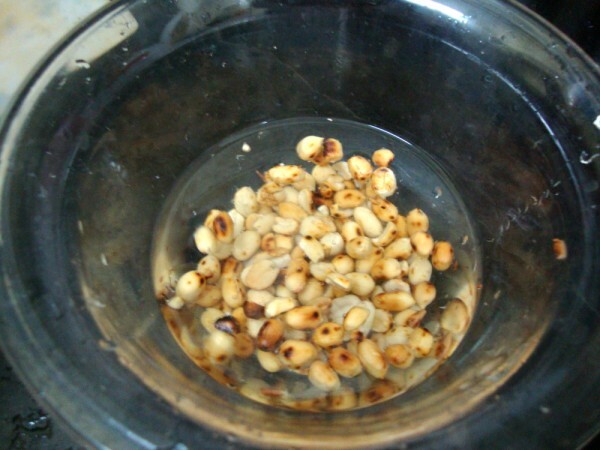 Soak roasted peeled Peanuts/ Grounds in salted water for 5 mins. 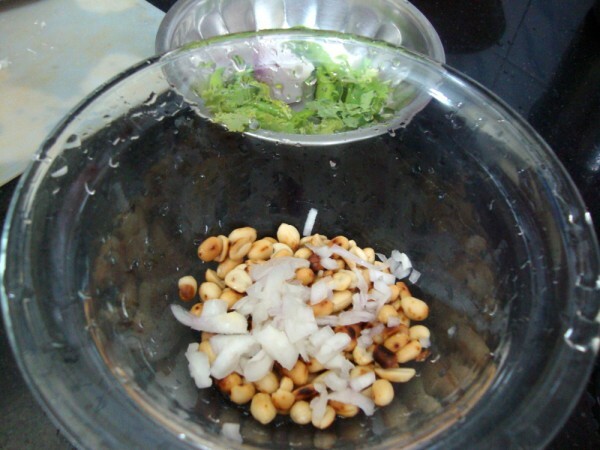 Take them in a bowl, add finely chopped onions. 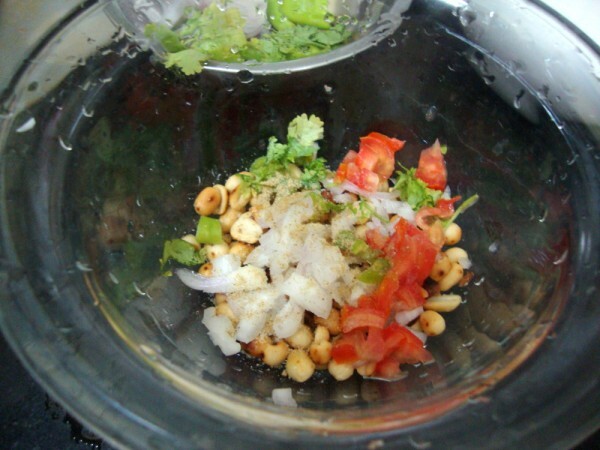 Sprinkle salt, chat masala, mix well. Of course I removed the green chilies when I served to the kids, but adults can have as such if desired. I was so happy that kids eat this along with onions, tomatoes which they normally never take. 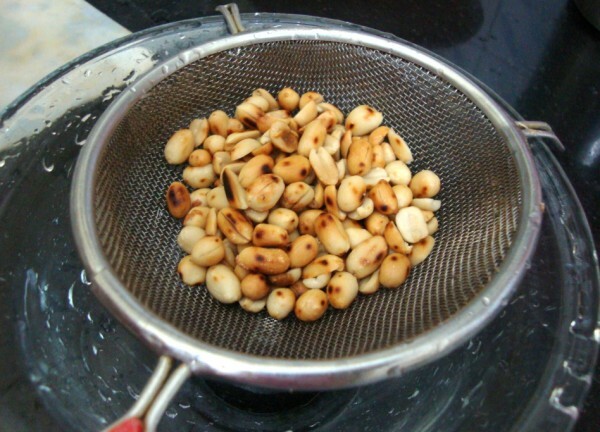 This chat is also served at most places with puffed rice. delicious! 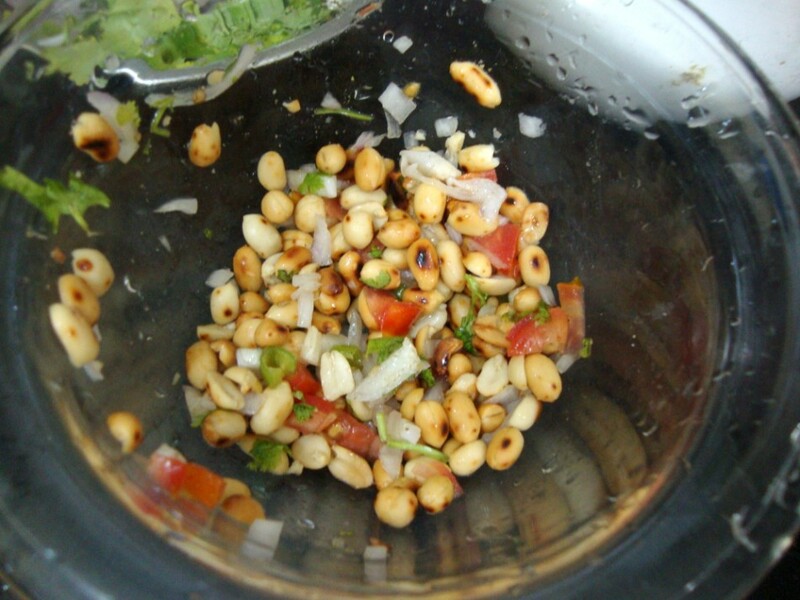 !..n guilt free.coz the one I make is with fried peanuts!! Yummy! I make this peanut chat but I don't soak peanuts in in salt water thoguh. 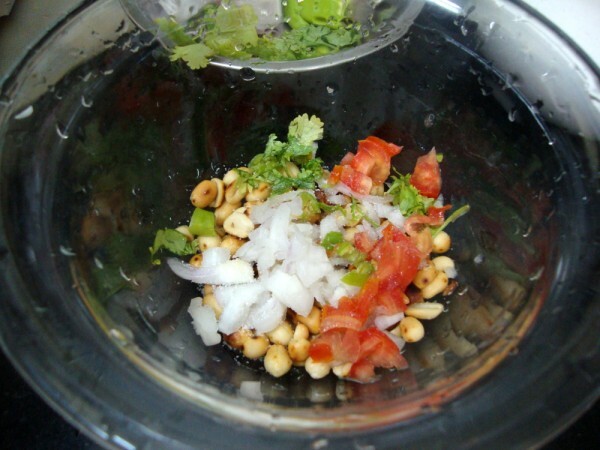 I must try it next time..
yumm… my kid will empty the bowl in mins… yummyyyy!!! 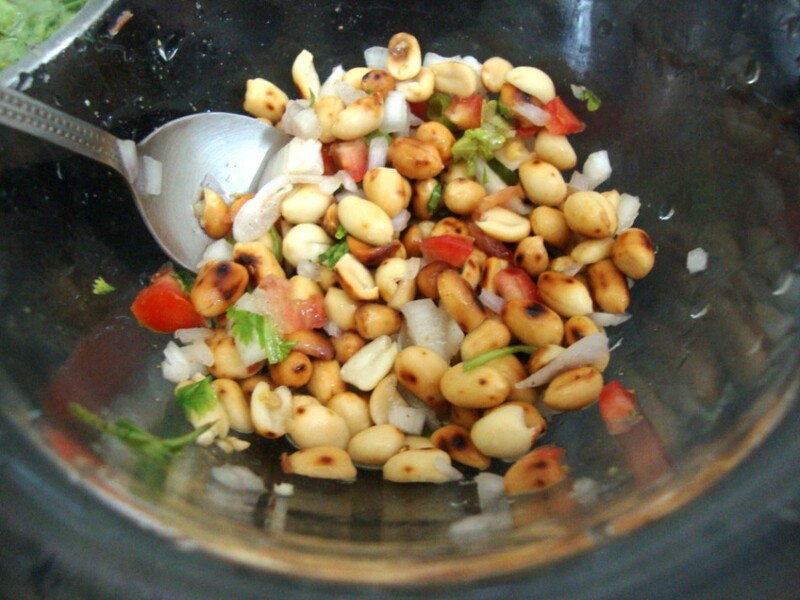 I make this often but with a cooked peanuts instead of fried!!!! Healthy snack! Tell your daughter that she did a good job.